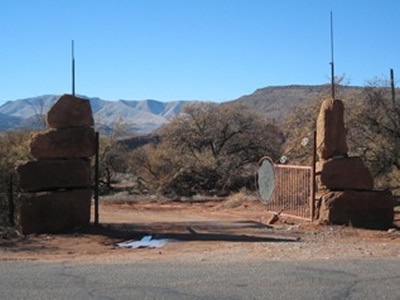 St. George is known as "Utah's Dixie" because of its temperate climate. Mild winters make it ideal for golf year-round - 10 of Utah's best courses are located here! 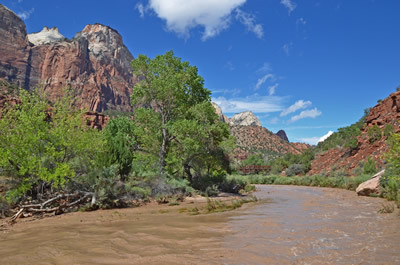 The city is the business and cultural center for Southwest Utah, and is a major gateway to nearby Zion National Park. Only a few miles from our neighborhood, a local treasure is revealed! if you haven't seen the petroglyphs on the Santa Clara River Reserve trail, then you have missed one of the best Anasazi stone writing sites in North America! The Cliffs Community Members can access the Scout Cave Trail, the Johnson Canyon Trail, and the Chuckawalla Trail via our private pathway. The pathway is reserved to members of The Cliffs Community. The pathway lies just to the north of the Clubhouse and just west of Lot 106. The pathway leads to the Sand Hollow Wash. 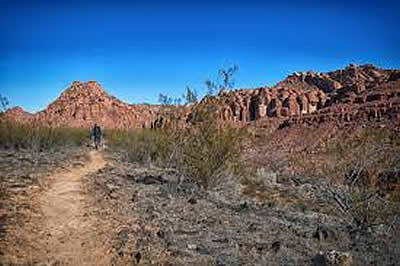 Follow the wash north to the junction of the Johnson Canyon Trial and the Scout Cave Trail. As always exercise caution during periods of thunderstorms and flash floods. Use of vehicles is prohibited on the pathway.